In the world of chocolate lovers, eating chocolate by the spoon must be item number one on the guilty pleasure list. 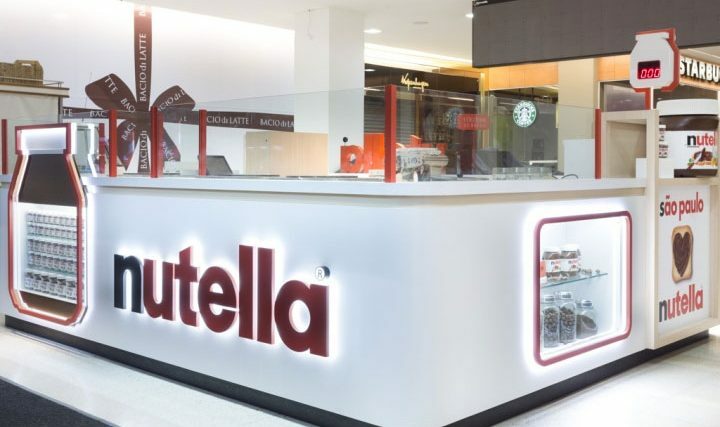 To help chocolate aficionados cross that off the list, in 2015, Nutella opened its first official kiosk, located on Paulista Avenue in Sao Paulo, Brazil. 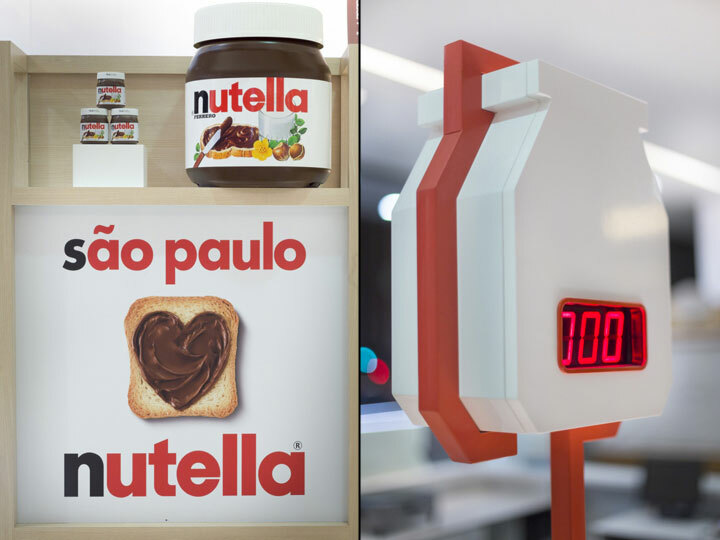 Designed by Estúdio Jacarandá, the kiosk makes the iconic Nutella jar its natural (and obvious) point of inspiration. More or less subtle suggestions of the highly recognizable silhouette are everywhere. 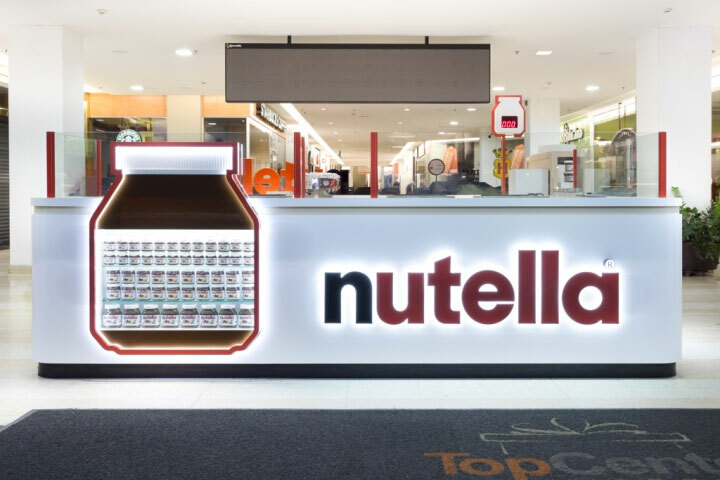 From the jar-shaped display shelves to the menu list, and from the chair design to the number machine, the Nutella jar is represented in ingenious 2-D and 3-D versions. 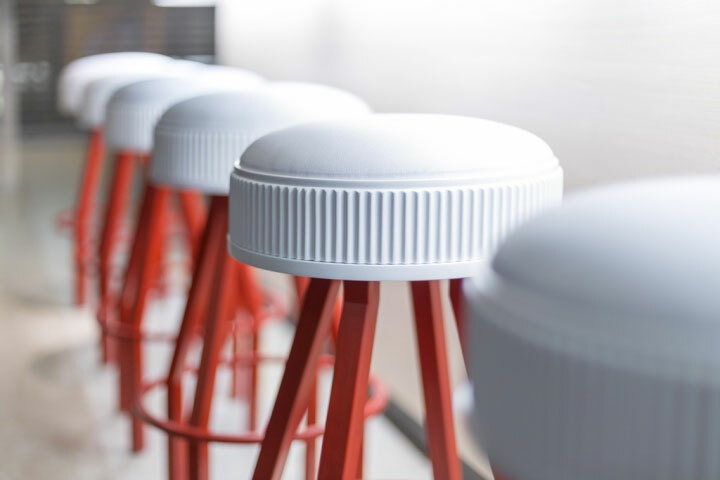 The high stools with seats molded in the shape of Nutella jar caps are a clever and charming touch. Even their legs follow the well-known silhouette of the jar. Every detail is carefully designed in terms of branding, and everything reminds customers of the beloved Nutella chocolate. Yet, the jar-inspired design does not get overwhelming, nor boring. Set against the clean and crisp white background pinpointed by light wood touches, the chocolate jar suggestions still find a way to look rather subtle. The merit is partially due to the fresh and limited chromatic palette, gravitating about the white and red Nutella brand colors, and to the minimalistic approach to each “jar” element. 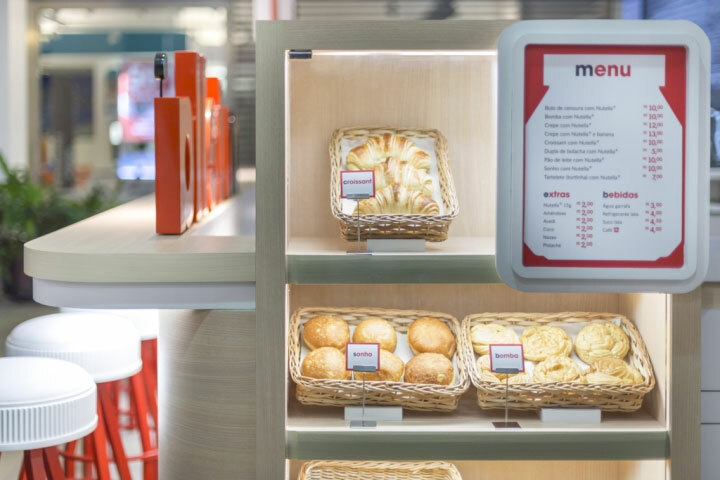 The kiosk introduces a smart way of turning the trivial ingredient list into a 3-D display. 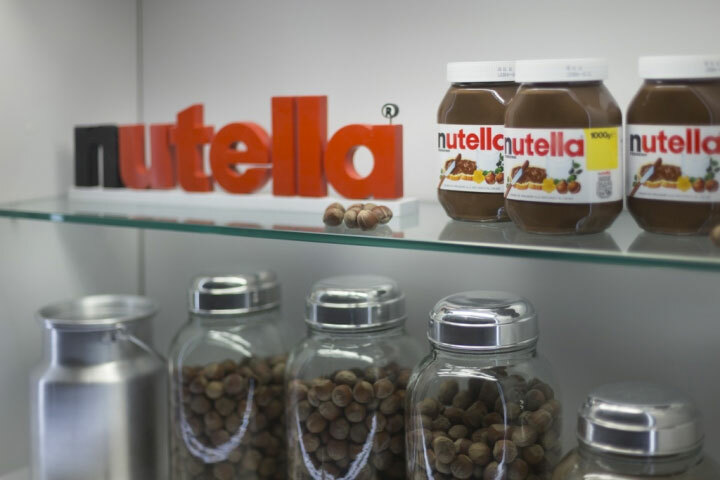 Encased behind glass and placed on an illuminated display shelf, the simple Nutella ingredients make their natural source clear – a brilliant marketing strategy. 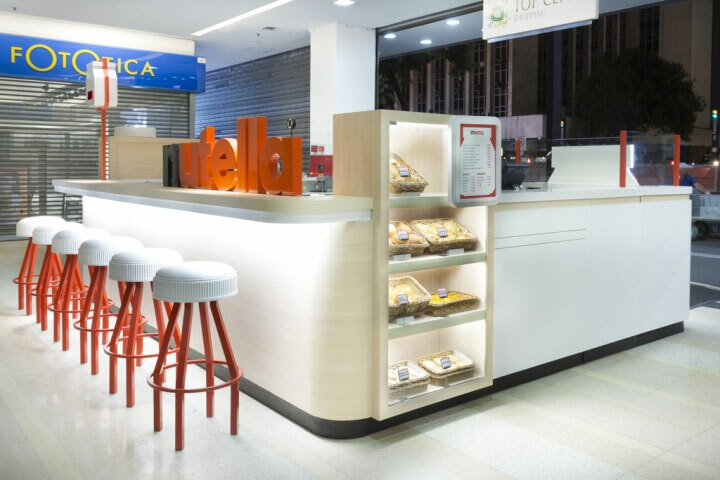 From the front side, customers can follow the process of crepe making, mouthwatering with its promises of impending culinary delights, and introducing a feeling of familiarity that is always a winning ingredient in design. 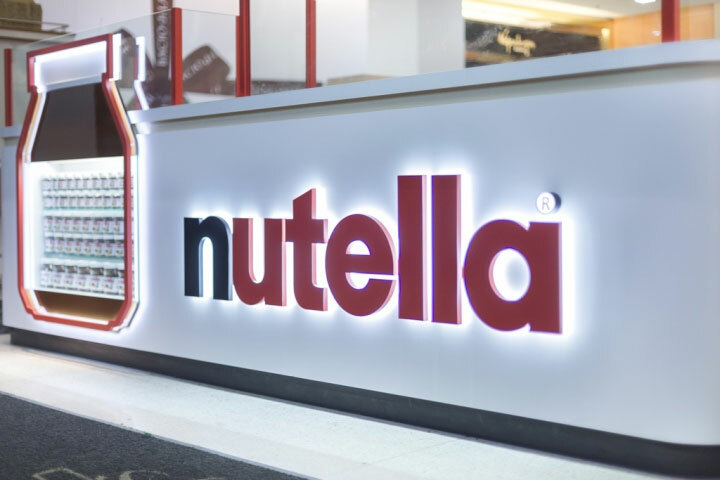 The Nutella kiosk is an excellent example of branding done with conviction, yet with taste.